Hello it´s me, the Giunea Pig Prince! 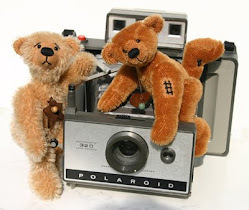 Today I will give you a clue in case you need a special gift for a special person. Not that sort that includes a lot of calories or hodgepodge that collects dust. Something completely different! It was in January when I red a magazine. I prefer scientific journals of course but there was none available at that moment. 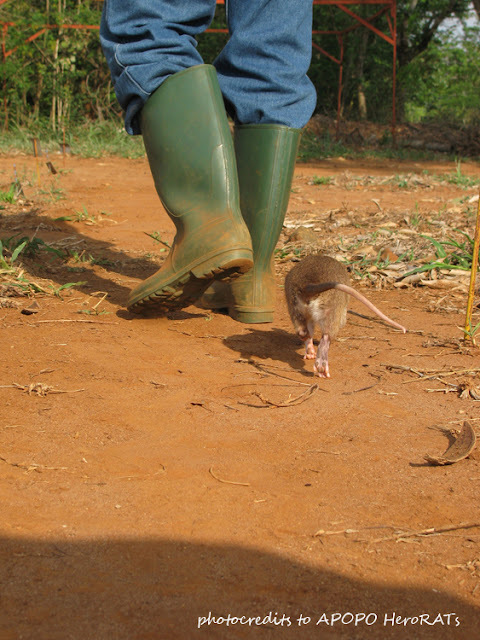 But I found a very interesting article about the Giant African Pouched Rats. I will share this information with you. 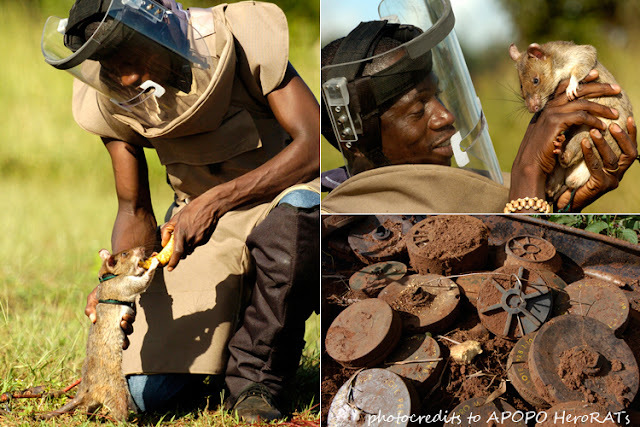 The article was about APOPO HeroRATs. Far away in Morogoro,Tanzania, Africa, is a training center where Giant African Pouched Rats were trained to detect explosives, landmines and also to indentify positive tuberculosis samples. This is one of the trainees. Elvis. This kind of rat can grow up to three feeds long. 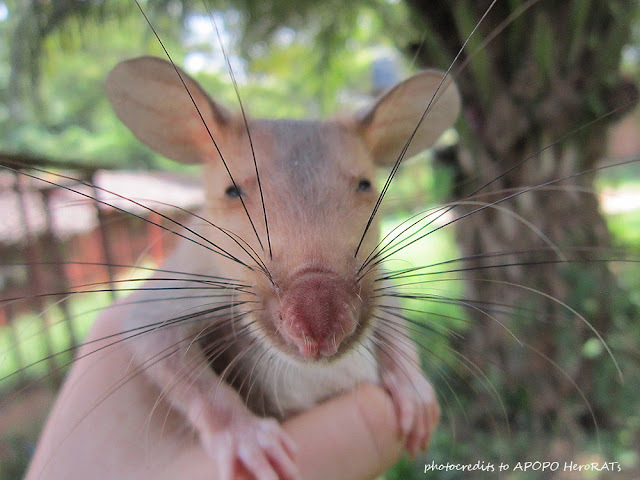 And look at his whiskers. WOW! Another trainee sniffing for treats. They start their training at the age of four weeks. 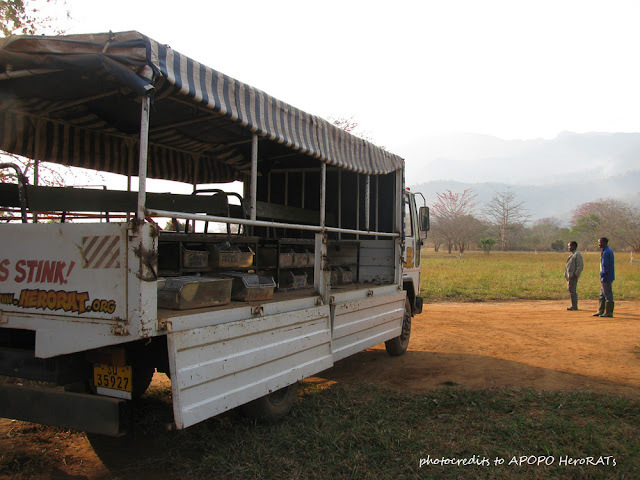 Here you see the school bus that brings them to the training field. Sniffing out TNT and scratching to attract the trainers attention. 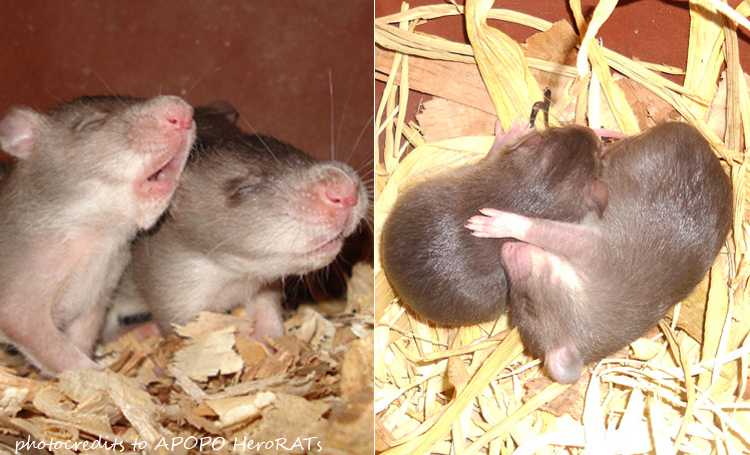 BabyHeroRats, dreaming of a succsessful career as live-saving sniffers. 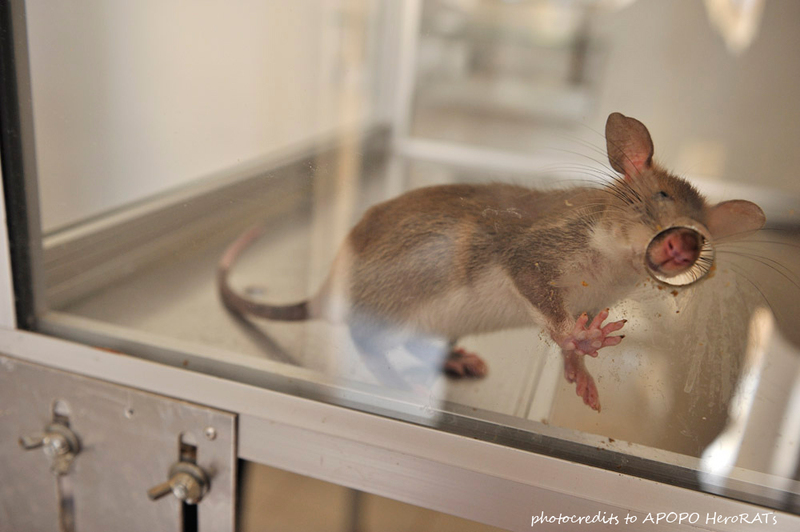 HeroRATs are saving live and limbs. that could be given back to the rural population. This is Bart Weetjens, founder of APOPO, who discovered the enormous sense of smell of the Giant African Pouched Rats. Once when he was a child he got a hamster. And that starts a longstanding fascination with rodants. 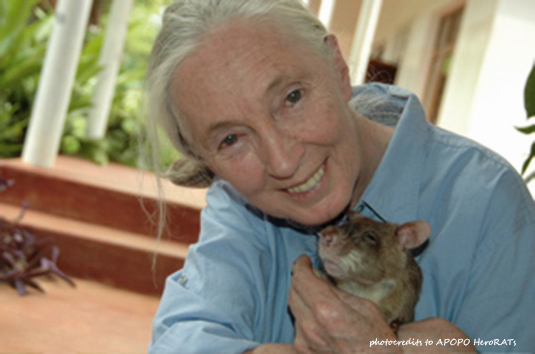 Wonderful Dr. Jane Goodall came for a visit to the training center last week. So to support APOPO and the HeroRATs Mom adopted Blossom as a birthday gift for her daughter. Wait. Moms daughter is my sister. Does that mean I´m related to a Giant African Pouche Rat? Maybe I am the AUNT? NO WAIT I´M the UNCLE! OMG I´m confused with this type of relationsships! With our help Blossom will have training to do a priceless job. We receive regular updates and informations from her. She is working from monday to friday, gets healthy food and medical care. She is good treated and respected by the humans surrounding her. 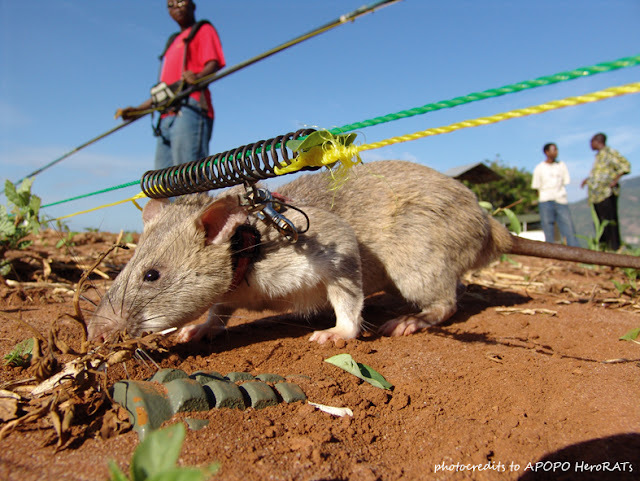 Get more informations and have your own HeroRat at. Super pictures and very interesting. That's pretty amazing. I may have to change my opinion of rats! Pia, this is amazing! Thank you for sharing this... I had no idea. The rats are beautiful I think! I too like your favorite picture. was für ein interessanter beitrag, liebe pia! dazu noch die einmal toll gelungenen fotos! danke! eine schöne woche und ganz liebe grüße! 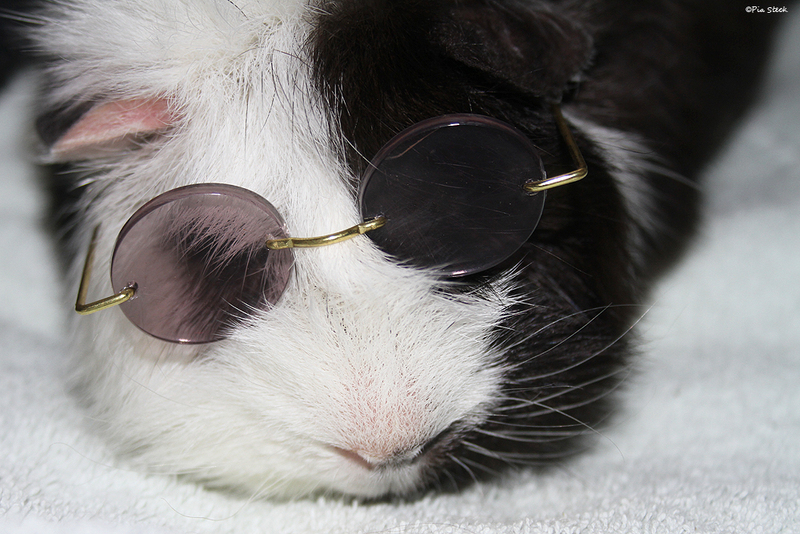 I love the photo of the Guinea Pig with the cool shades on. I am truly amazed by what the special breed of rats can do. 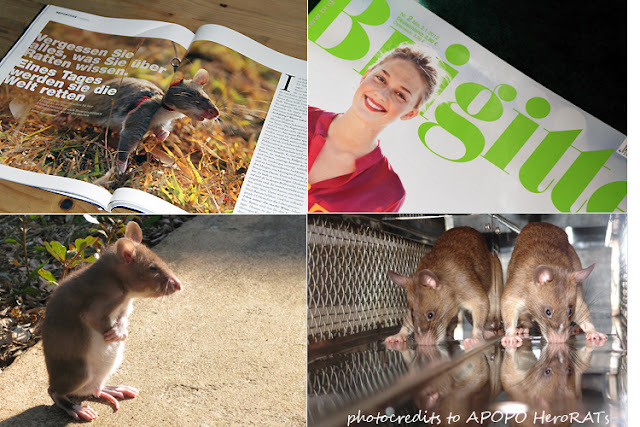 Thank you for all the thrilling information about these Hero Rats! And I'm so proud of you, beeing the uncle of sweet, little blossom! She surley will save many lives! der Beitrag ist absolut interessant, ich habe noch nie davon gehört! Wahnsinn, wozu Tiere fähig sind und Menschenleben retten können! Und die sehen noch soooo putzig aus! danke für diesen interssanten Beitrag. Ich wusste nicht, dass man Ratten für die Suche nach Minen einsetzt. Das ist eine gute Sache. Trotzdem macht mich das vergraben der Minen (überhaupt Krieg in jeder Form) unheimlich wütend. Dann hege ich den Wunsch, dass man genau diese Leute zum Minen entfernen schicken sollte, die sie vor langer Zeit vergraben, den Auftrag erteilt oder hergestellt haben. Die Konsequenzen tragen meistens die anderen. Never heard of these before. 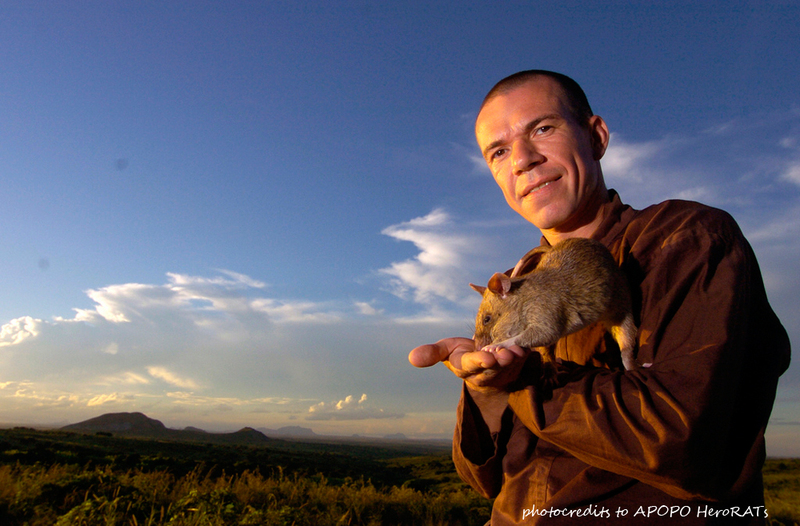 What amazing rodents! Liebe Pia, das ist wirklich ein hoch interessanter und echt beeindruckender ja, großartiger Bericht über diese possierlichen Tiere von Dir, gerne angeschaut und gelesen, Dankeschön dafür! sorry, dass ich jetzt erst kommentiere. Hab echt viel um die Ohren. Bin wieder völlig fasziniert. So putzig sind die Tierchen.